Milngavie’s Imogen Bankier and Robert Mateusiak are through to the last 16 of the mixed doubles badminton championships at the Spanish International in Madrid. The pair began in the qualifying competition but reached the main draw without playing a match. 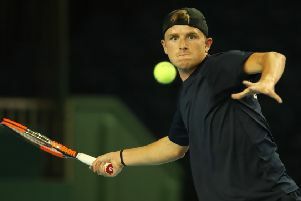 Bankier and Poland’s Mateusiak were left to progress automatically after the two pairs they expected to meet in qualifying were promoted to the main draw.